It is the exceptional visionary that opens our eyes. “A young Black woman making history as the first online chronicler of Black philanthropy,” as observed by The Huffington Post’s Black Voices, Tracey Webb has opened eyes and minds with a steady stream of stories about African-descent giving since 2007. 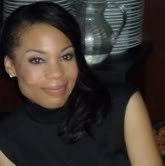 Webb is the creator of BlackGivesBack.com (BGB), heralded as the premier website on Black philanthropy. BGB showcases the rich and long history of African Americans as benefactors. She is driven by the firm belief that telling the once-untold stories of giving by Black people will inspire others to give back and have an impact on their communities. Colleagues and admirers shared these observations about Webb’s passion and groundbreaking work on the philanthropic front. “Tracey Webb is a visionary who was able to see back in 2007 that the news cycle about philanthropy was missing something. It is an honor to work with her as a contributor to BlackGivesBack.com and be inspired by her wisdom and ideas. “BlackGivesBack.com is an unparalleled platform that identifies and elevates stories and examples of who, what and where Black philanthropy in the US and throughout the Diaspora is heading in the 21st century. True to the essence of vanguard blogs, BGB builds community among the contributors and readers. A Washington, DC native and Howard University alum, Webb has over 20 years of experience in the nonprofit sector, working in various disciplines, including program management, grantmaking, development and direct services. In 2005, she formed The Black Benefactors, a giving circle that supports organizations serving the African American community in the Washington, DC region. Recently, AT&T’s “The Bridge” named Webb among its “Four Influential Black Bloggers to Know” and her site ranked 25th among the Top 150 Nonprofit Blogs. Webb’s honors and awards include becoming the first recipient of the Black Philanthropic Alliance’s Legacy Award, being named an “Influential” for MLK Day in 2011 and receiving an inaugural Living Legacy Award from the Association for the Study of African American Life and History (ASALH) in 2012. Major media regularly feature Webb, including the August 2011 “Black Wealth” issue of Ebony magazine, the premiere episode of “The Root Live” on The Root.com, BlackEnterprise.com, The Chronicle of Philanthropy, The New York Times, theGrio.com, and the book, Black Is the New Green: Marketing to Affluent African Americans. Poised, quiet and reserved in person, Webb unleashes her energy on the pages of her website with stories about people around our nation and globe. For the first time ever, she sat for a BGB interview to share some of her own thoughts for the “Of Dreams and Mountaintops” series. Black philanthropy is the foundation of Black America. Our ancestors pooled their money, sweat and dreams to create learning institutions, churches and mutual aid societies that are still in existence today. We have made great strides, even electing an African American as President twice, but racial disparities in the areas of education, health, unemployment and more continue to permeate Black communities. I'd like to see increased collaboration among organizations working toward addressing these issues for even greater results. I have a dream that all Black Americans will see the true value in their financial giving, taking measure to make it strategic and a part of their annual budget. In terms of your philanthropic endeavors, what is your “mountaintop” or highest achievement to date? Creating BlackGivesBack.com and The Black Benefactors giving circle in 2007. Many people ask me if these projects are my full-time jobs, but they are not (although I would like it to be!). I started BGB as a hobby because I wanted to share my passion for philanthropy with others and inspire people to give. I also wanted to dispel the stereotype that African Americans are passive recipients of philanthropy, when in fact, we are great benefactors. A couple of months after I introduced BGB, I launched The Black Benefactors. To date we have granted $14,000 to nine organizations in the Washington, DC area that serve the African American community. I am humbled at the support and awards I have received for both. When I was a graduate student at Howard University in the 90s, I read Savage Inequalities by Jonathan Kozol (1991). It really opened my eyes to the disparities in the nation's educational system and the subsequent impact on Black communities. The book shaped my philanthropy in that I then began to focus my giving on education related causes. And I am a big fan of Valaida Fullwood's book, Giving Back: A Tribute to Generations of African American Philanthropists (2011). It is an eloquent display of photography and stories that truly capture what Black giving is all about.